Are you looking for comfortable and durables hoes for everyday use? At Derimarket you will find a big variety of daily women’s shoes, such as oxfords, sneakers, slip-ons, ballet flats, classic shoes without heels and many other kinds of footwear at the most pleasant prices. Available on this page shoes are ideal for use in the spring and autumn period, perfectly completing your stunning outfit. We do our best to meet the needs of our beloved customers, so we provide them with stylish, high-quality and comfortable goods of the best Turkish brands, Pegia and Art Goya, which are in demand in domestic country and abroad. 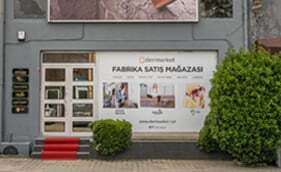 These leading Turkish brands create footwear only from natural materials, such as leather, suede, nubuck, linen and fabric, that makes all the products “breathable”, soft and extremely comfortable. Purchasing at Derimarket is always saving and enjoyable. Every client is guaranteed to get the best price for the entire line of daily women’s shoes and other goods made of genuine leather and sheepskin. In addition, we provide with free worldwide shipment and right to return or exchange ordered goods within 14 days after their receiving. Shopping from Turkey has never been so easy!